Minority and indigenous cultures in Africa are under serious threat, says Minority Rights Group International (MRG) in its annual flagship report, State of the World’s Minorities and Indigenous Peoples, which focuses in 2016 on culture and heritage. This year’s State of the World’s Minorities and Indigenous Peoples explores the impact of armed conflict, land dispossession and discrimination on the most fundamental aspects of minority and indigenous identities, namely their languages, art, traditional knowledge and spirituality. In Uganda, for instance, the Koogere oral tradition – part of the collective memory of Kasese’s Basongora, Banyabindi and Batooro communities and an essential part of their folk expression – is severely threatened. Their cultural heritage was undermined when their lands were parcelled into Queen Elizabeth National Park. Storytellers are no longer able to recreate episodes of the Koogere story and gatherings are dominated by other, more modern forms of entertainment. In Kenya, the semi-nomadic pastoralist Endorois community were forcibly evicted in the 1970’s from their ancestral lands by Lake Bogoria, in order to pave the way for a national park. In 2010, the African Commission on Human and Peoples’ Rights ruled in the community’s favour, but a government Task Force came to the end of its mandate last year without having made any meaningful progress. Meanwhile, the Endorois struggle to maintain their culture while lacking full access to important sacred sites. The government in Cameroon has forcibly removed indigenous forest-dwelling hunter-gatherer communities like the Ba’Aka, Bagyeli, Bakola and Bedzam from southern tropical forests to make room for logging projects, commonly ‘resettling’ them in unfamiliar environments where they are vulnerable to poverty, discrimination and exploitation. They are also unable to pass on their forest skills to their children, resulting in a tragic loss of traditional knowledge. According to its own guidelines, the World Bank has an important role to play in safeguarding guarantees that its funded projects do not expose minority and indigenous communities ‘to loss of identity, culture, and customary livelihoods, as well as exposure to disease’. Unfortunately, World Bank-funded programmes have had disastrous consequences for many minority and indigenous communities; the Sengwer who have suffered forced removals in Kenya are just one of many recent examples. To guard against large pharmaceutical companies using minority and indigenous traditional knowledge without acknowledgement or profit sharing, there has been a series of initiatives to support traditional health systems and strengthen their status within wider society. One case in point is the bio-cultural community protocol developed in 2009 by traditional health practitioners in the Bushbuckridge area in South Africa, setting out how they expect other stakeholders to engage with them. The State of the World’s Minorities and Indigenous Peoples also includes other examples where minority and indigenous activists have drawn on their cultural heritage like the Maasai in Tanzania to mobilise their communities to secure intellectual property rights. 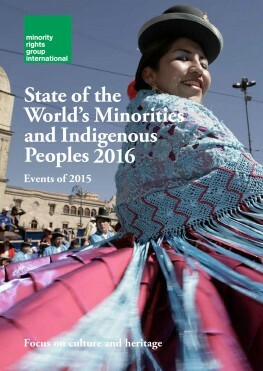 State of the World’s Minorities and Indigenous Peoples 2016 is available for free download on MRG’s website on 12 July 2016. 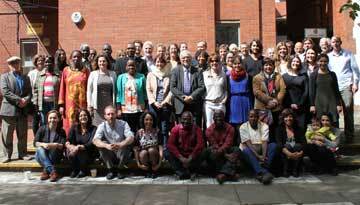 View a short video on MRG’s YouTube Channel about State of the World’s Minorities and Indigenous Peoples 2016.